Only few people have donned the roles of an actor, producer, TV Show Host, Playback singer, and even a politician – and that too with smashing success and elan. His booming voice – once rejected by All India Radio, has reached iconic proportions. The true celebrity of our country, Mr. Bachchan is characterized by an instinctive charisma and an innate humility that no one in his position could have. Amitabh Bachchan celebrates his 68th birthday today on October 11th, 2010. 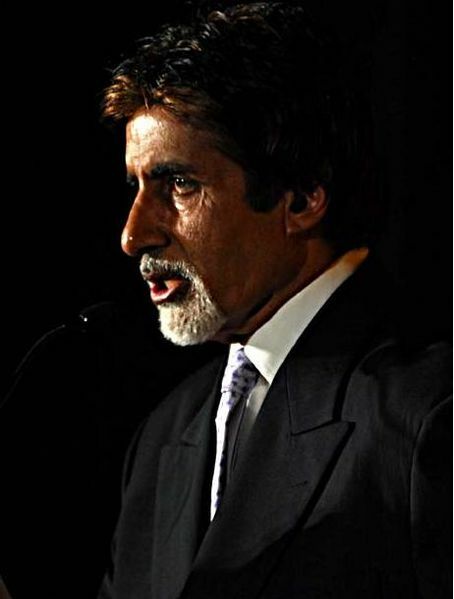 Mr. Bachchan even has a birthday-present for his millions of fans across the globe – Kaun Banega Crorepati 4. The show that reversed his once-ailing fortunes… his lucky charm. The show characterised another side of Amitabh – the human side. It showcased his humility and his knowledge. He was a candid, calm and comforting host – well aware that the fortunes of those in the ‘hot seat’ opposite him, lay safe in his hands. With minutes left for Kaun Banega Crorepati 4 to air on Sony Entertainment Television (the program starts at 9.00 PM IST – today), one is reminded of the ill-fated stint of its previous edition featuring Shah Rukh Khan. The show started with great fanfare, but nosedived in popularity later-on. It was the time of the much-written-about Shah Rukh-Amitabh rivalry. And Shah Rukh inheriting Amitabh’s role was considered to be a success on Shah Rukh’s side. However, negative reviews hit KBC3 bad, and Shah Rukh’s charm was no match for Amitabh’s oeuvre. Anyway, Kaun Banega Crorepati is back, having shifted channels from Star Plus to Sony Entertainment Television. Let’s wish Amitabh a Happy Birthday, tune into our televisions and accept his birthday wish with grace!